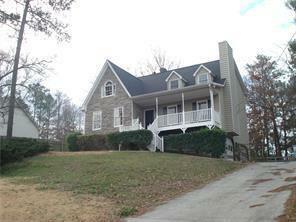 Home has stacked stone exterior and full front porch, open great room has stacked stone fireplace. 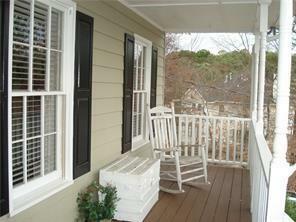 Hardwoods on the entire main level, master on the main!Two large bedrooms upstairs. Built-in bookcases in the loft office/library. Beautiful granite counter tops and marble back splash in the kitchen. 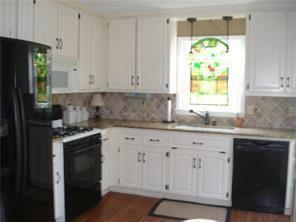 lots of cabinets and pantry space. 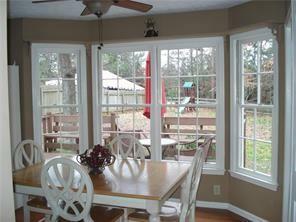 Nice eat-in breakfast area with a beautiful bay window and separate dining room. You will enjoy the views of the private fenced backyard. This is a great home in a great location.